by Jeremias Gotthelf, a.k.a. 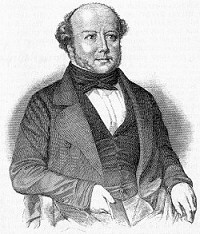 Albert Bitzius (October 4, 1797 – October 22, 1854). Arachnophobes beware. This little gem of a story (just a little over a hundred pages) comes to us from the twisted mind of Swiss novelist (and pastor!) Jeremias Gotthelf. You might think a novel from a nineteenth century pastor would be relatively tame. Of course, it would take the twisted mind of a man of god to come up with this formidable piece of fiendish folklore. If you’ve ever wondered why so many are afraid of spiders, wonder no more. Set in a benevolently bucolic valley and predicated on the christening of children, Gotthelf weaves a tale of good intentions gone wrong; of the consequences when, faced with overwhelming hardship, we take spiritual shortcuts. And in this medieval setting, neither the nefarious knights nor the petty peasantry are spared. When one hard-boiled woman makes a pact with the ‘Green Huntsman’ whose red-feathered cap betrays him as none other than the great deceiver himself, and then reneges on her promise, punishment arrives swiftly. The agent of the devil’s destruction is a big, bold, black, eight-legged Furie of an insect who easily ranks as one of the most menacingly macabre manifestations of maleficence ever imagined. 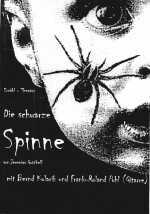 Rife with scenes of both visceral and spiritual horror, from the insect’s human incubator to its uncanny omnipresence, Gotthelf’s masterpiece ranks as a top tale of the genre. This is one of those tales in which you will recognize the seeds of so much later horror writing, but via Gotthelf’s prose they seem fresh and sinister. Of course, in the end, the peasantry comes to their senses… Or do they?